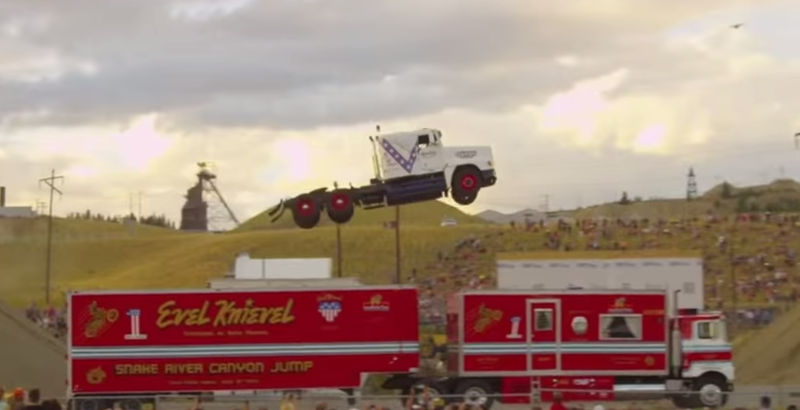 A large crowd of bystanders got to see a semi-truck soar to a record-breaking 166 feet through the air off of a dirt ramp at Evel Knievel Days in Butte, Montana. The man behind the wheel of the courageous stunt was no other than daredevil Gregg Godfrey, known for doing things some people would label as crazy. Godfrey smashed the old semi-truck jump record of 83 feet, 7 inches, and actually planned to only go about 140 feet before accidentally flying through the air for 166 feet. When it comes to daredevils, rarely does a mistake turn out to be a good thing so I for one applaud Godfrey and everyone involved for successfully completing the dangerous jump.